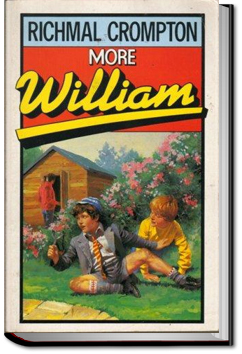 The second of Crompton’s series of 39 books about William Brown, our cheeky 11 year-old protagonist. A hero to some, a dastardly villain to others, this book is structured round a year in his life. Starting with William waking up on Christmas morning and ending with him going to sleep the following Christmas Eve, there are the usual round of misadventures, misunderstandings, and general mayhem in between. When a boy like William wakes up under a motto that says “A Busy Day Is A Happy Day” alongside a copy of “Things A Boy Can Do”, chaos is just around the corner. Includes the very first William short story – “Rice Mould”. Often dismissed as children’s literature, the first few books of William stories were probably aimed more at an adult audience. They resonate with a distinctly English humor, but there are obvious echoes from ‘Tom Sawyer’ and ‘Huckleberry Finn’. This entry was posted in Action/Adventure Books on March 12, 2017 by allyoucanbooks.